Do you have good grammar habits? Can you imagine a nutritionist who eats exclusively at fast food restaurants? A personal trainer who never exercises? A writer who can’t be bothered with grammar, spelling, and punctuation? In most professions, best practices and tools of the trade are mandatory. If you want to be a doctor, you have to earn a PhD. If you want to land a job in accounting, you need math skills. But writers can easily finagle around best writing practices, especially with the increasing accessibility of self-publishing. Basic grammar skills used to be mandatory — not just for writers but for all high school graduates. These days, you can get out of college with a degree but no clue how to properly structure a sentence or differentiate between they’re, their, and there. I’ve lamented about the fact that grammar is absent from education. But I’m even more saddened by the absence of good grammar among self-proclaimed writers. I’m not going to rehash all the reasons writers should practice good grammar. 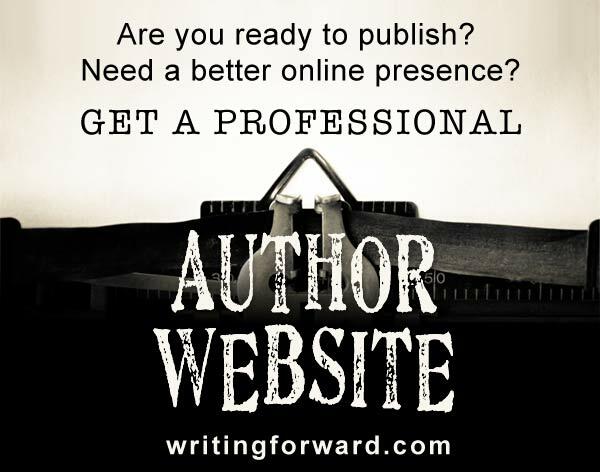 It all boils down to being a professional and showing respect for the craft of writing and for your readers. Learning grammar — mastering grammar — requires a long-term commitment. You don’t have to spend hours every day poring over grammar guides and dissecting sentences, but you do need to develop a few basic grammar-related writing habits. These are the habits I’ve adopted in my own writing practices. Through experimentation, trial and error, and sheer willpower, I’ve managed to turn these practices into ingrained habits. Nothing chaps my hide like a self-proclaimed author/writer/editor/proofreader who doesn’t understand the basics of grammar. I frequently come across blogs (and comments) that promise writing tips or expertise but offer more in the way of promoting mistakes. I suspect these writers don’t realize they’re getting it wrong (and spreading bad grammar like a disease). Take a step back and figure out what you do and don’t know. And before you offer advice, make sure you know what you’re talking about. Got a friend who’s a grammar geek? Is the Chicago Manual of Style still sitting on your wish list? Do you have a bookmarks folder packed with reputable grammar websites? Round up your resources so when questions arise, you can quickly and easily get (correct) answers. When you’re writing and come across a grammar question, take a few minutes to go in search of the answer. Don’t write around it or put it off for some future writing project. Stop and look it up right now. And remember that every time you look something up, you increase your worth and skill as a writer. If you read nothing but blogs and social media posts, you’re not reading well. Make time in your reading schedule for books that you know are well written — books that have gone through the tried-and-true editing and proofreading processes. Also, read with an eye for grammar. Be on the lookout for questionable sentence structures, typos, and other errors. Most writers who produce material that is littered with bad grammar actually know the rules but haven’t properly edited and proofread their work. All the learning and resources in the world won’t matter if you don’t double-check every writing project and fix all those pesky typos and grammar mistakes that you made as you rushed through the first draft. This is by no means an exhaustive list since it’s based solely on my own experiences, so if you have any tips or best practices to add, please share by leaving a comment. Keep practicing those good grammar habits, and most importantly, keep writing! Thanks for the interesting post! I have been working on ridding my speech (and my writing) of some of my “favorite” bad grammar. Although I follow several blogs who occasionally blog on this topic, and I have several books on grammar and style, I still find myself using my bad habits, from time-to-time. I welcome any help I can get! Thanks! These are great habits to adopt! As an editor, I have adopted them, and as the same, I recommend writers do too! As an emerging writer, grammar is certainly one of my shortcomings. What I didn’t realise, is that most writers frequently refer to texts for correct grammar, spelling and punctuation. I’m sure some writers, especially the more experienced ones, have memorized most of the rules. But I think most (professional) writers rely on their reference books. I’m pretty sure nobody “just knows these things,” although if you read a lot (and read well written work), you’ll certainly absorb a lot of the rules organically. I am so happy to see someone address this issue. As a LinkedIn writing group member, I am amazed at the ‘writers’ who post with zillions of grammatical errors. Do they never reread? Sadly I have to hurry through my social media stuff and when I see so many grammar errors I just move on. We expect mechanics to know our cars. Shouldn’t we insist on writers using the language correctly? I believe that grammar, in general, is lacking online and in self-publishing. My sense is that many people, including writers, have this idea that the rules for texting and social media are different, that there’s more leeway for shoddy writing. I guess that’s their prerogative. I think that everything we write and publish (or share) is a reflection of our commitment to the craft and to our professionalism. I also think it’s kind of disrespectful to readers (and fans/followers) to be careless. Typos always slip through occasionally–but I do wish more writers would study grammar and engage in careful proofreading and editing. While I accept that people who should aim to achieve the pinnacles of writing excellence may desire a break from the rigours of accuracy at some points, I feel that too often one can forget where it’s appropriate. Personal texts and emails? Fine. However, all professional communication (and I include blogs and social media presence here) should always be polished, even if only with a quick dust-over. After all, we are selling our skills as a writer. I’d not ask my car be mended by a mechanic whose garage is littered with wrecks. People cite increased speed of communication in utilising text speak. I stick to true grammar in my texts (I do teach English, it’s a consequence), but I would argue that the fastest communication is free from ambiguity. Rules create consistency, and from this rises meaning. One of the reasons I advocate for using proper grammar and editing texts and social media updates is for that same reason: because it promotes consistency and good habits. Texts to friends don’t necessarily need to be polished to perfection, but polishing them is good practice. 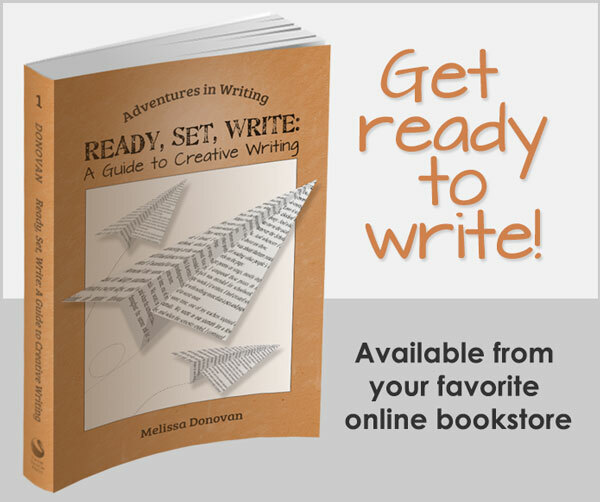 I appreciate these tips, as well as your ideology concerning writing as a profession. I do want to point out a typo in the text. In the first line of the paragraph, I believe the text is supposed to read, “You don’t have to spend hours…,” whereas the word “to” is missing. Again, I appreciate the topic and the specific points throughout. Thanks, Andrew. All fixed now! This wuz reely good; their don’t seam to be peeple who pay attenshun too this thees days. It is amazing how much you see out there where people just don’t know how to spell or use good grammar. I will confess, English was not a favorite subject, but then again didn’t have many favorites and paid dearly when I finally made it to college. The one thing I do like and that is to read and consider myself pretty well read. I think it makes a big difference in my ability to construct an intelligent sentence. It is also a direct reflection of me on whatever I’m putting out there for the world to see. I think reading (or lack thereof) is probably the biggest factor that influences a person’s writing. You can actually tell which writers are well-read from their prose (or at least, you can make a good guess). I’ve found that people who don’t read much tend to generate writing that is jarring and unclear. It’s usually got a lot of mechanical mistakes, but there’s more to it–actually, I would compare it to baby talk (the way kids talk when they’re still learning how to form sentences). There is disorder. Anyway, just thinking out loud here. Reading is fundamental, that’s for sure! Your tip #4 is brilliant. Just as art students are taught to paint by studying the masters, writers should read a wide variety of well-written books. Bank tellers are taught how to recognize counterfeit bills by immersing themselves in the real thing. Only if we are thoroughly familiar with what is “correct” can we easily identify what is not. For writers, that means reading many, many pieces by writers who use good grammar. The 20th century British authors are particularly good to read in both content and style. It is ironic that one of the best ways to identify someone trying to phish your account is that their bad grammar and word choices gives them away. That explains why so many people are scammed — perhaps they do not recognize the errors? I do believe many people online don’t recognize bad grammar and other writing mistakes. Yes, it may contribute to their being scammed, but it also propagates bad writing (like a virus). Since creating my blog the more articles I have been asked to write and to my surprise I’ve actually enjoyed the process. However, the “grammar” problem remains a sticking point with me and the more I agonised over different issues the more I seem to go round in circles. Living in Portugal, I am unable to enrol in college to revisit grammar basics. I can read books but books don’t offer feedback or answer questions to clarify different points. I have subscribed to your blog and look forward to reading more of your tips! If you get a copy of The Chicago Manual of Style, (which is a style and grammar guide), you should easily be able to look up specific questions and get answers. There are tons of great books on grammar that include comprehensive indexes. You can, of course, also use the web and search engines, but I advise doing so with caution. Anyone can write about grammar, so make sure your source is an authority (check out Grammar Girl) or is using a reputable resource. And if you want one-on-one feedback, work with an editor or writing coach. Good luck to you! I think the 4th point that you have discussed is the most vital of all. Most of us DO NOT read well while learning the core concepts of English grammar. Therefore this tip is really useful for us. We should devote some time to the matter that we are reading and we should read it slowly, understanding the meaning of each and every word written. I think, this would definitely help in improving the grammar. It bears repeating: reading truly is fundamental. I hate articles like this one! Some of the world’s greatest writers. Nay! The majority of them flout the rules of grammar ubiquitously! Rules are made to fit usage. NOT THE OTHER WAY AROUND. Writing is art! Write well and punctuation falls into its place. That of a guide for beginners! Well Paul, I hate when people come to my blog and spill their bad manners all over the floor. Writing is both a skill and an art, and if you can’t be bothered to learn the rules and develop the skills necessary to good writing, then you will look like an amateur when you break those rules unwittingly. 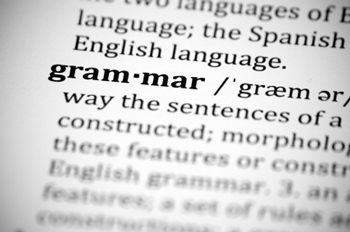 Studying grammar equips beginning writers for the many dilemmas that arise when trying to structure complex sentences. Yes, the greatest writers learn to write beyond grammar, to make smart choices, and rely on their intuition. For example, a writer who had studied grammar would know “That of a guide for beginners” is not a sentence and doesn’t make sense because it’s grammatically flawed. Now, I appreciate your sentiments on the matter and I welcome a civil discussion on this and any other writing issues, but I have to ask that you refrain from making vitriolic and/or offensive comments here on my website. Thank you. The world’s greatest writers may well break the rules of grammar often, but they know the rules they’re breaking, in my opinion. Before one breaks the rules to make one’s writing better, one should learn the rules. I agree 100%, although it’s usually editors who make the final call. Keep Practising” should be the correct usage. Hi Peter. In America, we spell it practicing whereas in Britain, it would be spelled practising. Thanks for the clarification Melissa. I am a “writer” whose first language is not English, and who only started writing with hopes of becoming a real writer less than a year ago; therefore, I am very happy to have come across this website of yours–it is a great place to learn both organically and theoretically. I truly believe in tip #4, where you emphasize (I just look this word up) the importance of reading well-written works. I just would like to add one more: practice makes perfect. I will become one of your most loyal readers. Thank you for a great website! Unfortunately, this isn’t a critique forum, so we do not edit, proofread, or critique for mistakes in comments. I suggest connecting with a teacher or professor, finding a writing coach, or getting into a writing group if you’d like to work with people who can help you correct mistakes in your writing. Practice makes perfect! At the very least, it gets you as close to perfect as possible. That’s why so many experienced writers advise young and new writers to write every day. Thanks for this! Although I completed three years towards a degree in English and have pored over books on grammar, I ‘m still not sure I know all the rules of grammar. (I never got around to taking the required grammar courses since I preferred the courses on literature and writing.) For this reason your statement “know what you don”t know” rings true to me. I also agree with the statement, “build your arsenal” which is exactly why I am following this blog, lol! Thanks, Patti. My college didn’t offer any courses on grammar, which was a huge disappointment. Their stance was that students should know grammar by the time they get to college, which I agree with, but unfortunately, it’s just not the case. This is a phenomenal article, and I agree with your points—particularly the advice to read good writing. I’m an English teacher and a writer, and I feel that I’m pretty familiar with prescriptive grammar conventions (and I always look them up when needed). However, Picasso’s advice, which has been so prevalent on the internet lately, comes to mind for me: “Learn the rules like a pro, so you can break them like an artist.” I believe this applies to writing as well. Some successful and respected contemporary writers, such as Cormac McCarthy and—one of my recent favorites—Peter Heller, purposefully subvert and bend grammar rules (fragments, minimal punctuation) for the sake of voice and style. There are many writers of “literary fiction” who do this, and it has influenced my own writing. When I break a rule, I know I’m breaking it. I’d love to hear your thoughts on the purposeful deviation from grammar rules, as far as fiction writing is concerned. I’m all for bending and breaking the rules (and that can include making a stylistic choice) as long as there’s a good reason to do so. Thank you for this post. Reminds me of the most boring hump to get over when it comes to writing. I really hate studying grammar and even more so getting grammatical critiques at a writing workshop, but it’s essential. I wish I could just write to my heart’s content and make it coherent the first time, but we’re all prone to tiny mistakes. A good book on syntax and grammar is Keys to Great Writing by Stephen Wilbers. It was the closest there is (from what I found) for a book to tackle grammar in a remotely entertaining way. It compares writing to music, wherein concision and rhythm are much more important than wordiness and technique itself. And yes Ben that’s a great Picasso quote! Thanks for the book recommendation, Marlon! I think there are ways to make grammar fun. Grammar Girl does a pretty good job; she has a book and a blog on grammar. I don’t mind studying grammar or editing. There are other parts of the writing process that I find boring or tedious, but it all pays off in the end. I certainly agree with you about the importance of good grammar. I personally became something of a specialist in English grammar as a result of the more than 4O years during which I taught the language in France. How many Anglophones can explain the difference between ‘I did’ and ‘I’ve done’? There is, however, a strong case to be made out for knowing bad grammar. At the moment I’m reading George Eliot’s ‘The Mill on the Floss’ where bad grammar along with colloquialisms and mispronunciations are used in the lengthy dialogues to reflect the social class of the speakers. A good example of ‘show but not say’? Ah, using bad grammar in dialogue to show the speakers’ station, class, or level of education is interesting. I haven’t read the book, but I could definitely see how that would work. It borders on writing in dialect, which is extremely difficult. I think it could be done effectively. in my opinion (and that of many others), one of the greatest of 19th century English novelists. I strongly recommend her masterpiece ‘Middlemarch’ where her handling of dialogue is absolutely superb. A lesson for myself and, I would take the liberty of adding, any budding writer! Yes, I’ve heard of George Eliot (English major here). Thanks for the suggestion. I love good dialogue! I have come across a couple of books where there were so many errors, I couldn’t continue reading. I don’t get mad–authors are people and they make mistakes. In the grand scheme of things, it’s not that big of a deal. I do like to check the reviews and “Look Inside” before I buy certain titles to see if the book has been properly edited. Maybe that would work for you.